Internal Communications - Why Are They So Important? If you are sitting in a quiet area right now, do not fear, we have transcribed the whole clip below so you can still digest the information. James Roles: Niall perhaps I can come to you. How important is internal communications when you are planning a launch and actually probably interesting for you, who is responsible for making sure that there is alignment, given that you are an HR man? Niall Cluley: Yeah great question. So I think first and foremost, it is absolutely essential to have buy-in from the leadership team for what you are launching and that they are genuinely understanding it. I remember the CEO at Vodafone being an absolute passionate geek around different devices. He used to carry around three mobile phones on him at any one time, because he always wanted to talk about the latest product. And that goes a long way with your teams when they see the No.1 leader in that organisation really passionate about the products and services. I also think a lot of exec teams skip the stage of understanding what this product or service is all about and I think that is absolutely key. Collaboration is also key. I think too many launches fail because someone else gets blamed – it’s that department there or that team over there. And I think you have to go with the energy sometimes that gets the team working to make successful launches happen. I saw a really interesting stat recently, that 51% of staff are disengaged by their products and services that their organisation is launching. The winners are the ones that can get a significant cut through there and take their time. 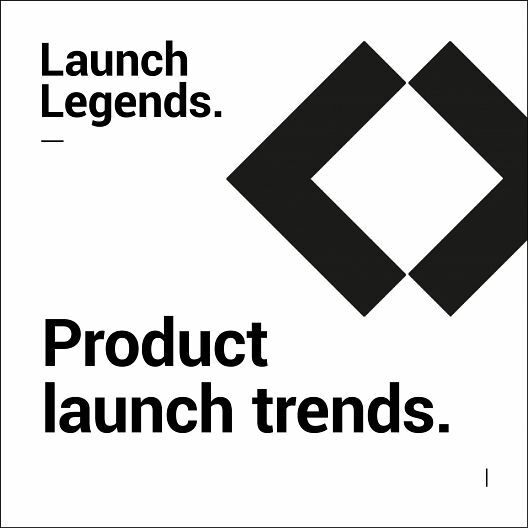 Where I have seen products and services launched well, is when it has been a little bit more of a slow burn. They’re getting people using it, talking about it, feeling like they’re shaping and feeding back and then making sure there are mechanisms after the launch to talk about it as well. I think I’ve mentioned this already before but give teams the tools to share through their social channels because they’re the best. If they’re advocating it, then you’ve got an army there who are representing what you’re talking about. James Roles: Have you personally taken responsibility for this or was it Marketing? Niall Cluley: I think Marketing should ask HR for more help. I think HR can be a bit slow to the table sometimes and sometimes the ones talking about the barriers. You know how difficult it will be and not necessarily coming up with solutions. HR needs to be more progressive in that area. If they understand the products and services that’ve been launched, they can then quickly think about what else needs to be changed. I think the best HR teams are getting more progressive there. I think it’s a really important ally for CMOs, CTOs and Digital Officers to work with HR and to take them on. You’d be amazed to hear that HR people do like to talk to the organisation and they do want to get stuck in with this stuff. James Roles: So Lee and Mark, have you got some specific examples of where it’s worked of where you’ve engaged with large workforces with 70,000 volunteers for the National Trust (pointing at Mark) and a global workforce for you (pointing at Lee)? Is there anything specific that you have done to help people get on board with the launch? Mark Scott: Shall I go first?! We launched a new brand direction back in September this year and I think you are absolutely right, we did get the internal communications and the HR team involved right at the conceptual stage of that campaign. I think what’s happened all too often before is that you have kind of flung it to internal communications at the last minute and expected them to work miracles. We’ve got 7000 employees and 70,000 volunteers, so if I can get my internal audience really juiced up about what we’re doing, chances are it’s going to work a little bit outside as well. Though we put a lot of time and effort into our internal communications from roadshows to films to staff panels. Getting them involved early in those really stages. The earlier the better. Get them involved in that simple, conceptual stage and that really started to work well for us. The biggest disconnect we can sometimes have is for us in Marketing to be coming up with these campaigns but actually if that’s not the experience that people have on the ground when they visit a National Trust place then the whole thing kind of falls down. So actually getting those property guys and our General Managers really engaged with what we are doing and making them feel part of the brand is essential. Branding isn’t just something that marketers do. So we’ve done a lot around that sort of messaging. Lee Jury: Internal communications are obviously key from the top down. Making sure everyone is aligned with what the key messages are. That everyone is going in the same direction ultimately but you don’t stifle creativity through that process. I think that’s really important. I’ve talked about the need to embrace immediacy and turn things around quickly. We had, I guess one example, disrupting yourselves internally to think and function differently. We had an animated film a couple of years ago, called Big Hero 6. We were in a little bit of a jam of where the awareness tracking was. It just wasn’t really going in the right direction at three weeks out, which is that typical crucial launch period. We started a Big Hero 6 every night, gathering 20 people in a room and for an hour every night, the brief was ‘what do you know today that you didn’t know yesterday and what do we need to know tomorrow?’ to be relevant, to keep this thing relevant. People just got very engaged with that process. No idea was a bad idea. And we got things out of it every day. We could then be agile with creativity and make sure that we were connected to what was topical to people’s feeds and using our characters in a smart way. It was a success! Our Client Services Director, George Roberts, looked into why the marketing campaign matching the customer experience is so crucial and what happens if it doesn’t match up.